America saw the vast forests of the Great lakes as an endless supply of the timber needed to settle the west. Farmers, factories and mills needed wood for fuel and building materials. 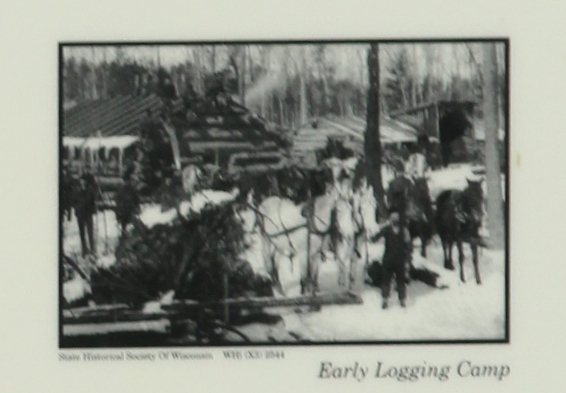 Men came to the northern forests to make their fortunes supplying wood to the nation. 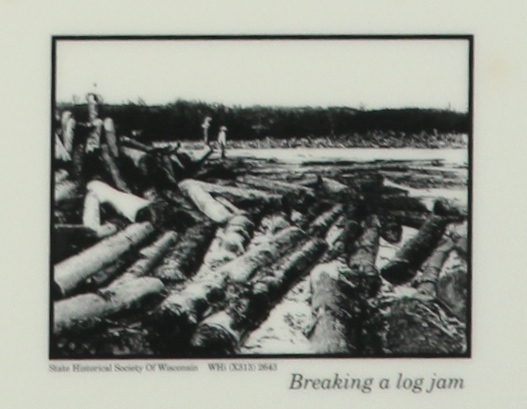 For the next hundred years, the logging industry ruled the Upper Midwest. 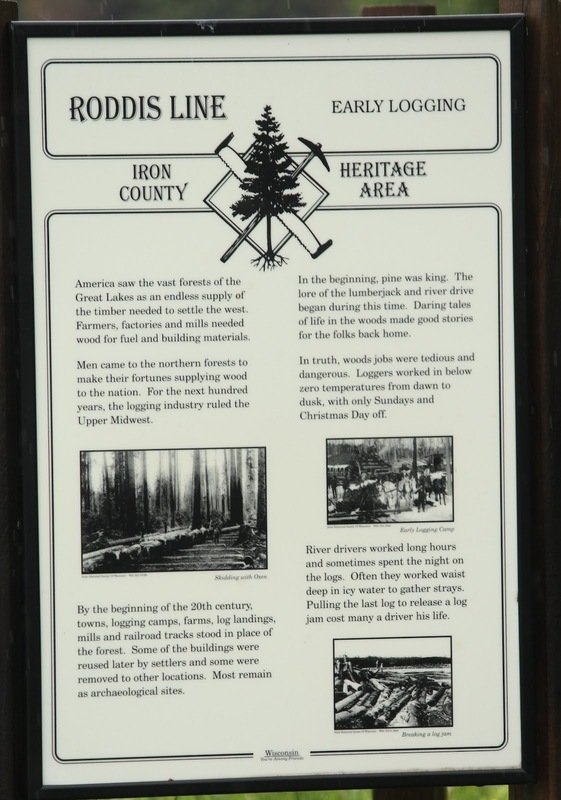 By the beginning of the 20th century, towns, logging camps, farms, log landings, mills, and railroad tracks stood in place of the forest. Some of the buildings were reused later by settlers and some were removed to other locations. Most remain as archaeological sites. In the beginning, pine was king. 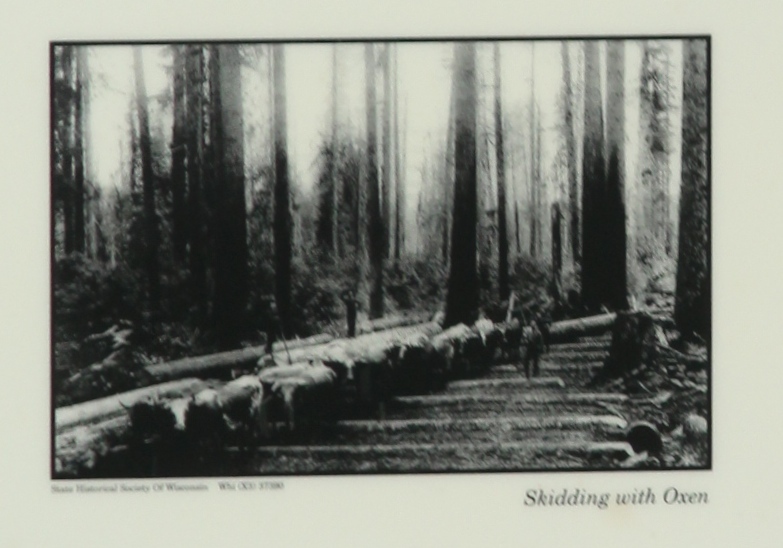 The lore of the lumberjack and river drive began during this time. Daring tales of life in the woods made good stories for the folks back home. In truth, woods jobs were tedious and dangerous. Loggers worked in below zero temperatures from dawn to dusk, with only Sundays and Christmas Day off. River drivers worked long hours and sometimes spent the night on the logs. Often they worked waist deep in icy water to gather strays. Pulling the last log to release a log jam cost many a driver his life. 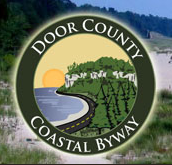 The marker is located on northbound County Road FF, north of its intersection with Turtle Flambeau Dam Road, Butternut, Wisconsin 54514. The marker is in the middle . . . The marker is located along County Highway FF in Butternut, Wisconsin.